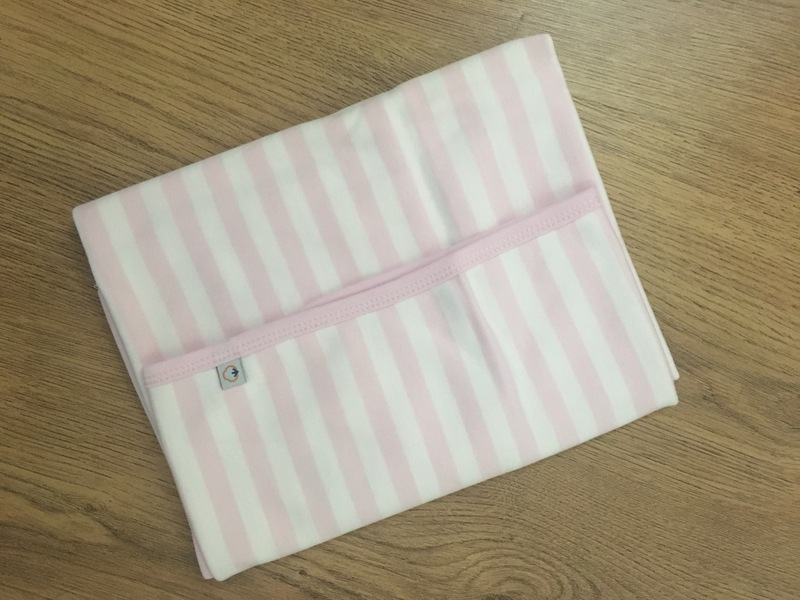 The Organic Baby Blanket is 75x75cm and is made from 100% organic cotton. It comes in a variety of colours, and also in stripes. It is advertised as being perfect as a blanket, play mat or nursing cover. 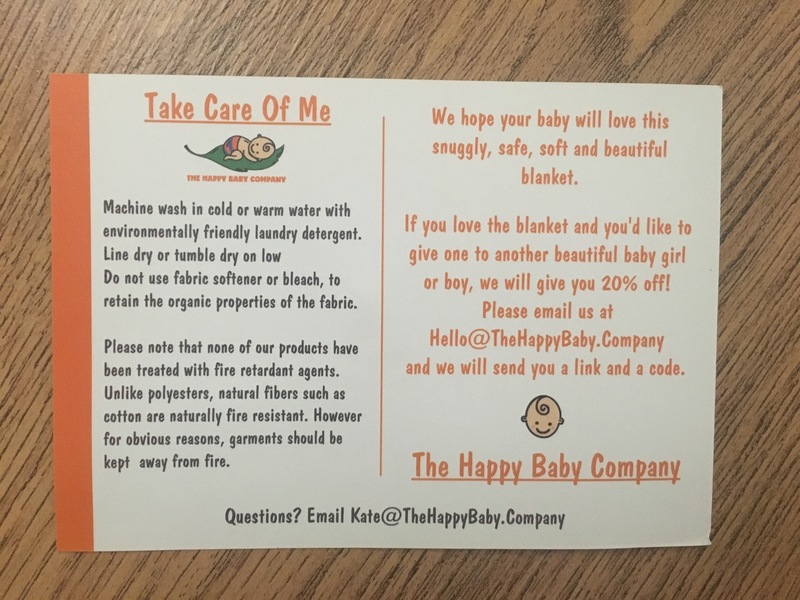 The Happy Baby Company is a family run business and the company state that they create products that they would use for their own children, using only the best materials. The Organic Baby Blanket arrived promptly via Amazon delivery. It came beautifully wrapped in a sheet of tissue paper and a ribbon, along with a card on how to care for the product. 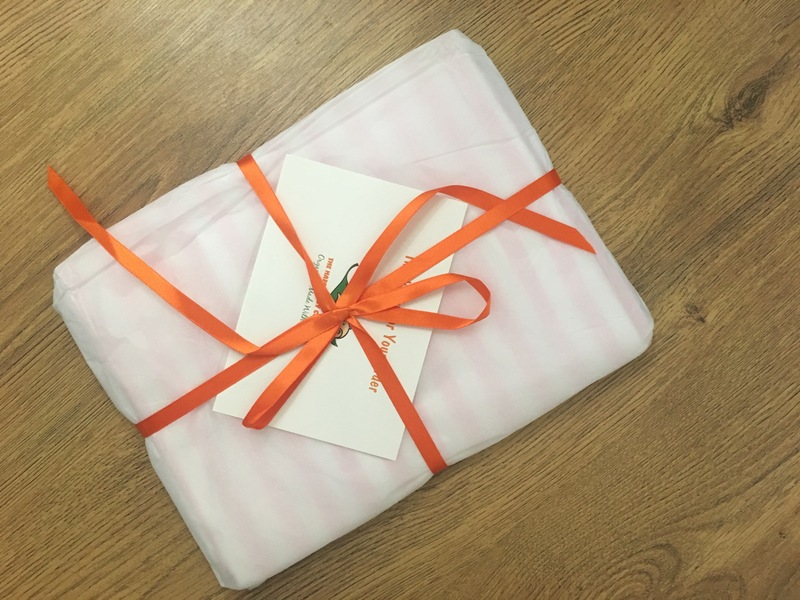 I was particularly impressed with the wrapping and it was not something you often see when ordering from large commercial sites such as Amazon; this thoughtful touch immediately made the blanket more special and also would be great as a gift being sent to a new baby. The blanket actually arrived as we were about to go out, so after admiring the packaging I opened it and took it straight out with us. 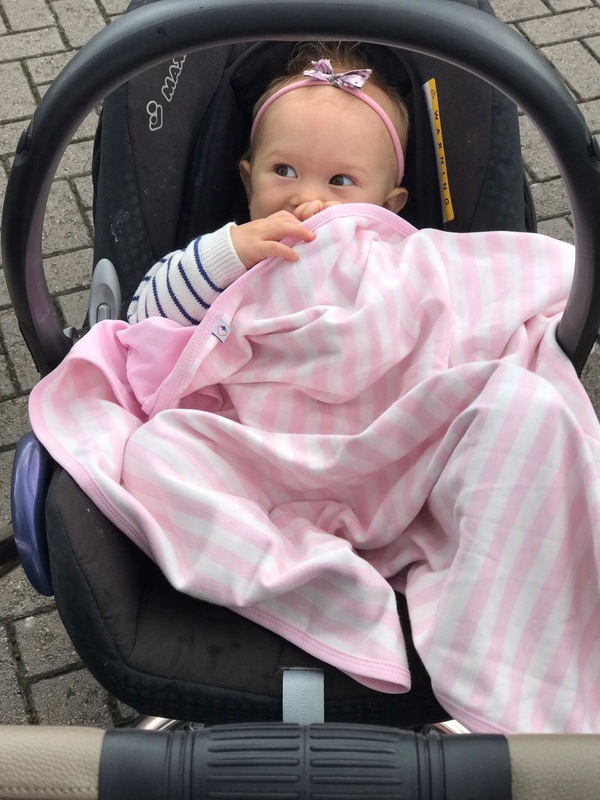 In the recent hot weather we have been having resulting in baby H being dressed with bare legs and arms, I like her to have a light blanket for the cool air conditioned car – the blanket was perfect for this. It is created from two layers of 100% organic cotton and therefore helps avoid baby becoming too hot or too cold as allows better aeration than other fabrics. The blanket arrives pre-washed, which again is such a lovely touch – parents often have a mountain of washing to do anyway and washing new items can add to this (I must admit, however, that I do not personally tend to wash new things anymore, but I know mamas that do!). H gets eczema and can be irritated by wool so I am often wary of the materials I put on her skin, but cotton is non allergenic making it the perfect material for babies with sensitive skin. The blanket is really soft too, so perfect for baby to snuggle, and baby H definitely seemed to approve. To see the full range of blankets, visit The Happy Baby Company on Amazon. 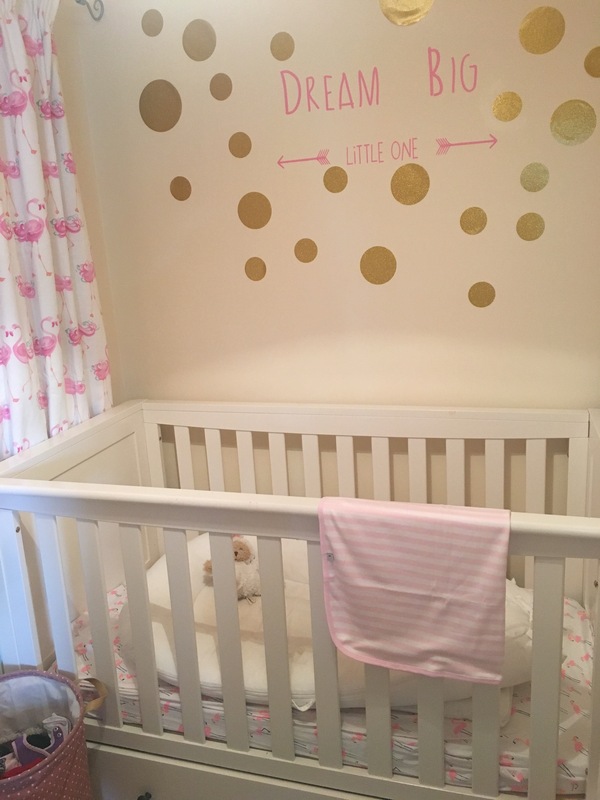 You can also view their Facebook page at https://www.facebook.com/The-Happy-Baby-Company-UK-108147476506707/ and their website is www.thehappybaby.company.